Oh Miss Donna! : Extraordinary Children - Qian Hong Yan "Amazing Heart & Spirit!" Extraordinary Children - Qian Hong Yan "Amazing Heart & Spirit!" While browsing through Amazing Things in the World on Facebook, I stumbled across this little girl and now young lady who touched my heart instantly. Qian Hong Yan, a little girl from China who lost both of her legs. How does she get around? She's quite amazing! Her amazing potential to affect the world is absolutely extraordinary. When I look at her smiles, I feel the immense strength and the courage to keep going and living despite difficulties. In my personal thoughts, any adversity or difficulty should not be dubbed as a weakness and/or be pitied upon. It should be celebrated and encouraged. For myself, I cannot help but to always look at the amazing potentials of each child and human being. It's just in my makeup and I'm so inspired by this story of Qian Yong Yan. Children are such strong spirits and they unknowingly teach us and remind us all of our own amazing potentials. 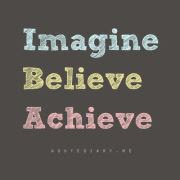 As a teacher, I believe we need to believe in the amazing potentials of each and everyone of our students! Undoubtedly, many of us do! However we need to keep it up, especially during the tough times. Thank you for sharing your extraordinary life with the world and staying so positive! If the little ones can do it, so can we! To find out more about Qian Hong Yan, click here.